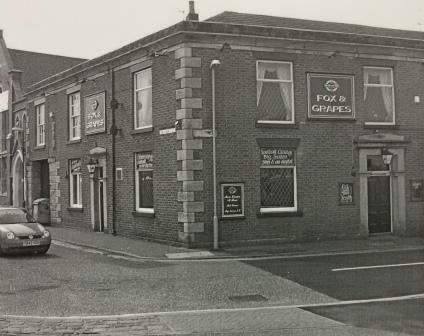 The Leigh Arms has had a number of names over the years including the Station Hotel, Weird Arms, Gossips and Fox & Grapes. 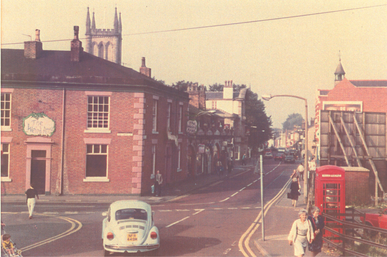 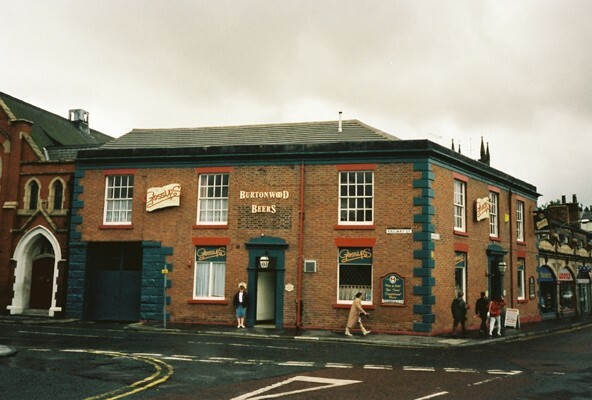 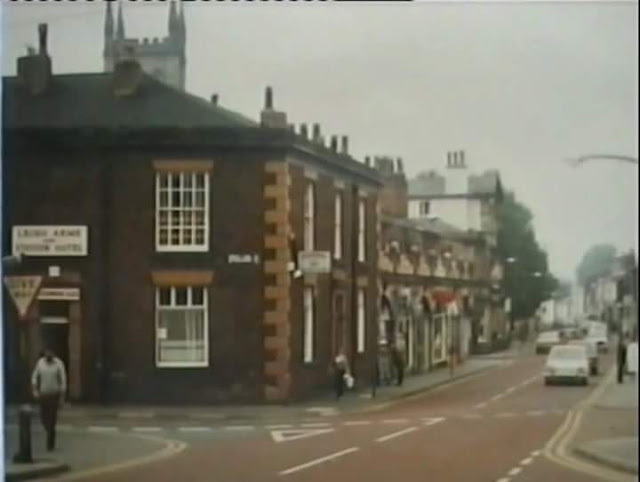 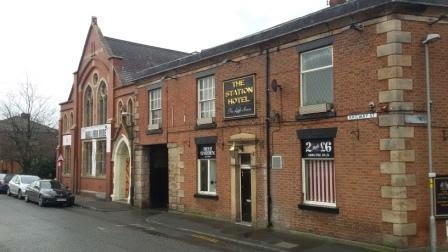 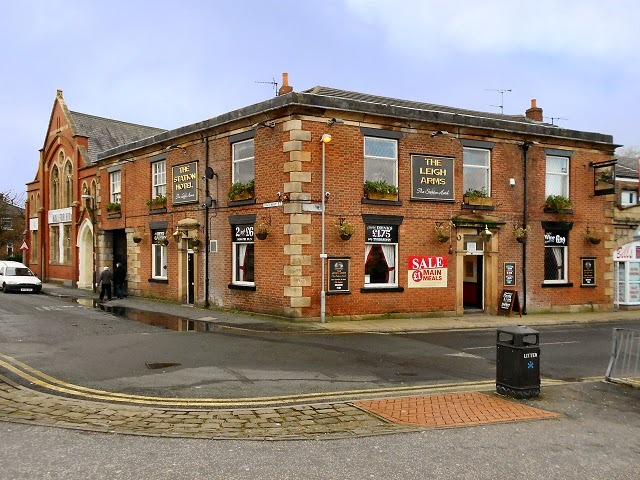 It is located on the corner of Chapel Street and Railway Street and currently has signage for the Station Hotel on the Railway Street side and for the Leigh Arms on the Chapel Street side. There are plans afoot to build a new youth zone on this site but at the this time it is still open for business. 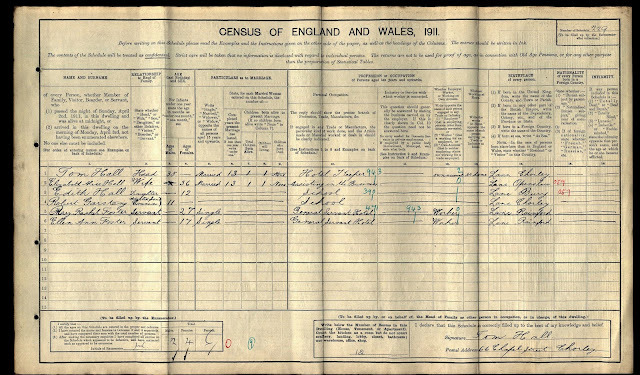 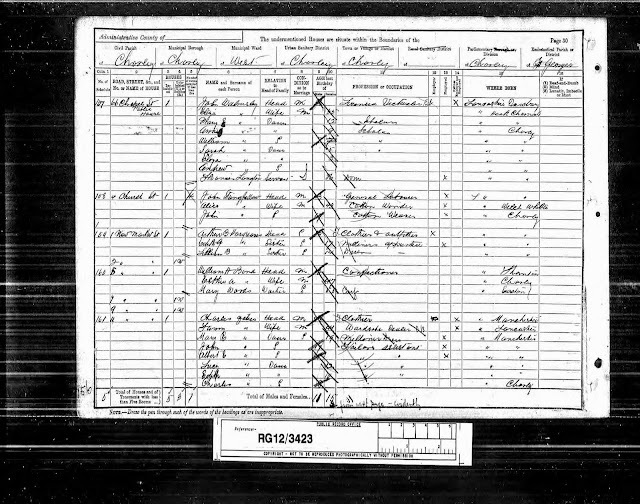 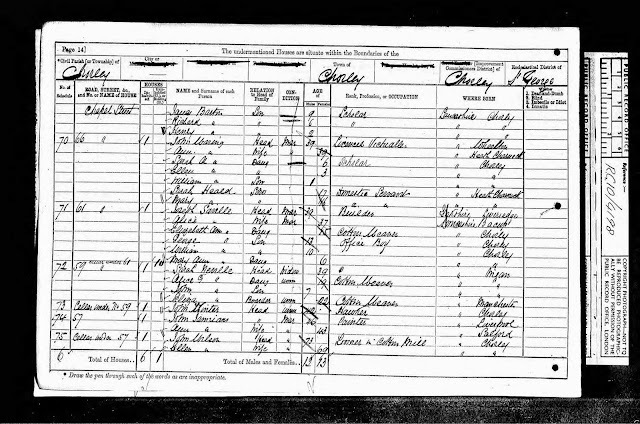 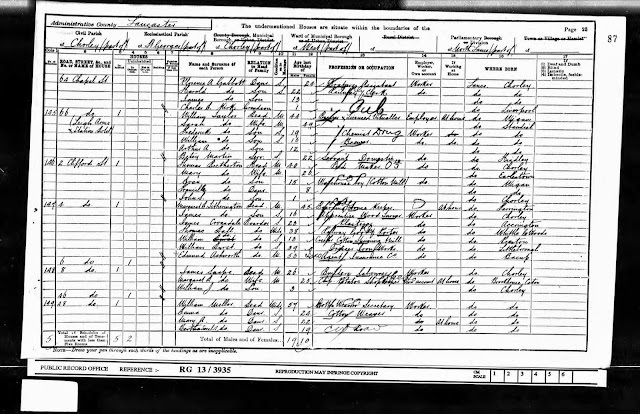 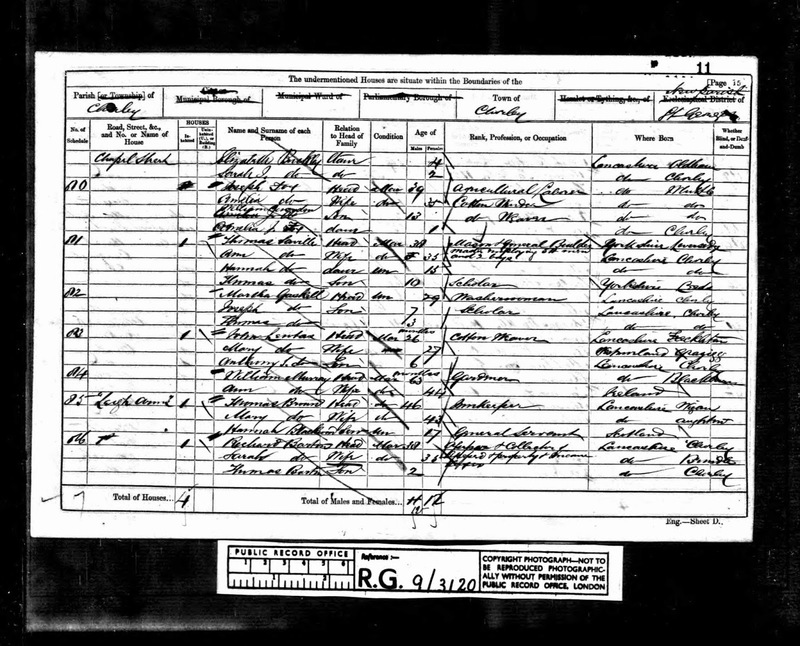 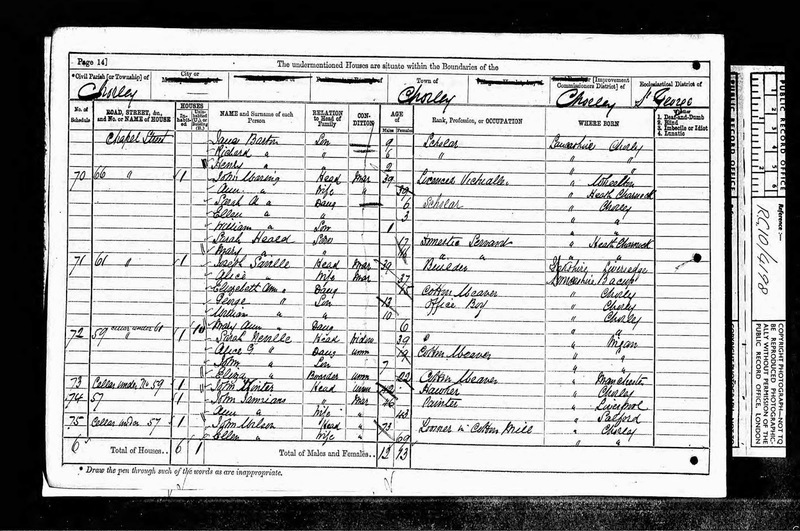 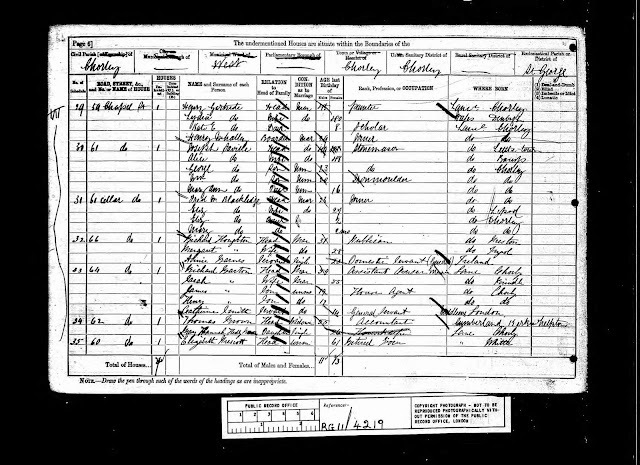 First recorded in the 1850's the landlords have included Mr. Litherland (1855), Thomas Brindle (1858), Thomas Brown (1861), John Waring (1865-74), Richard Houghton (1881-89), Margaret Houghton (1889), John Walmsley (1891), William Taylor (1901), Tom Hall (1911), Mrs. Heaton (1920), Joseph Burrows (1936) and Kurt Smith (1983). 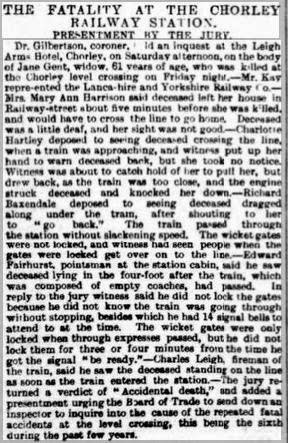 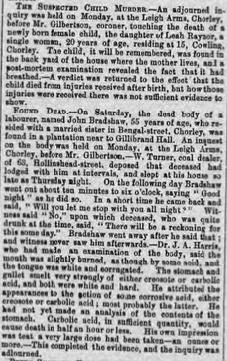 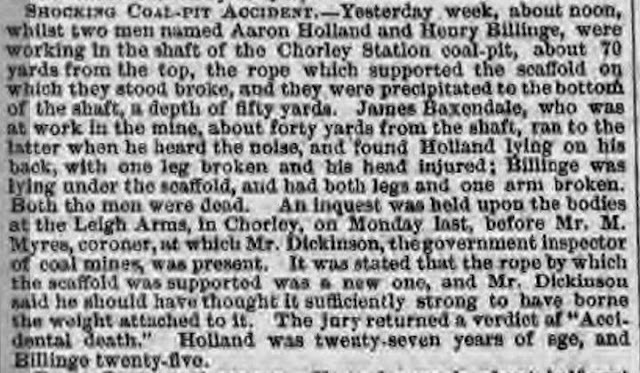 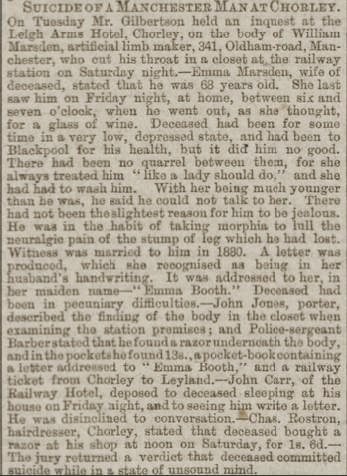 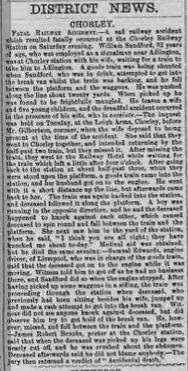 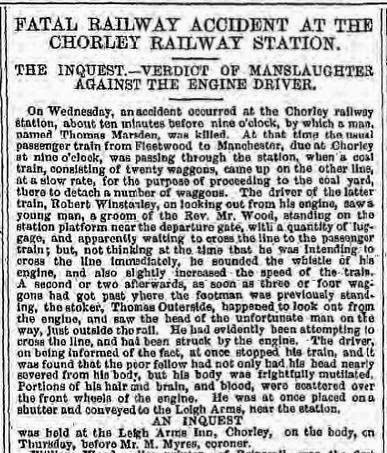 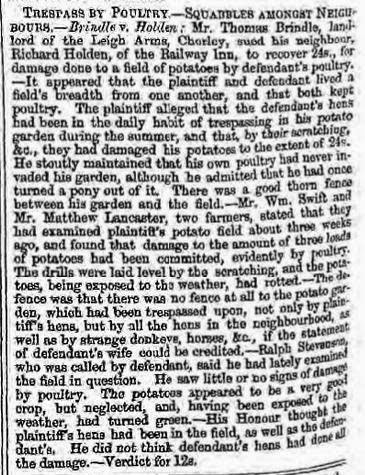 Due to its location near to Chorley Railway station it was used frequently as the venue for inquests by the coroner into deaths both in the local coal pit and on the railway itself. 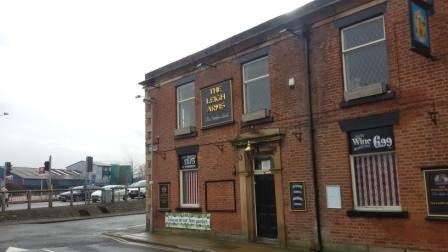 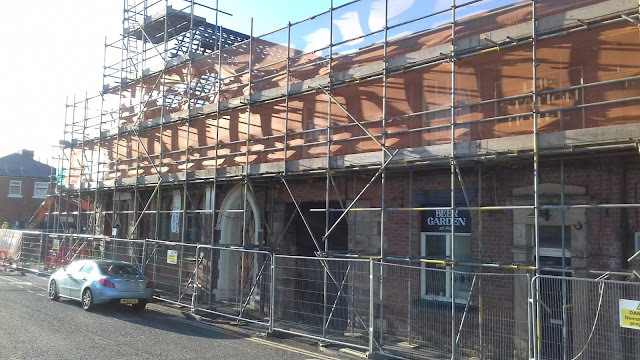 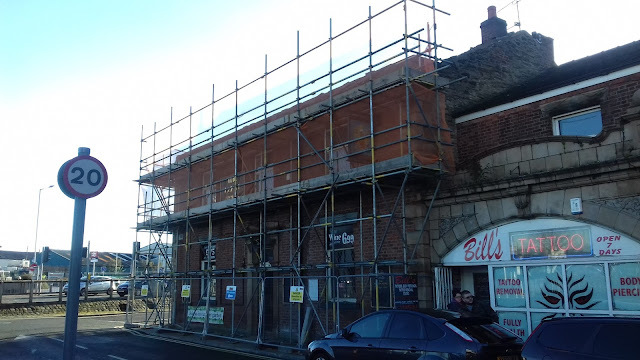 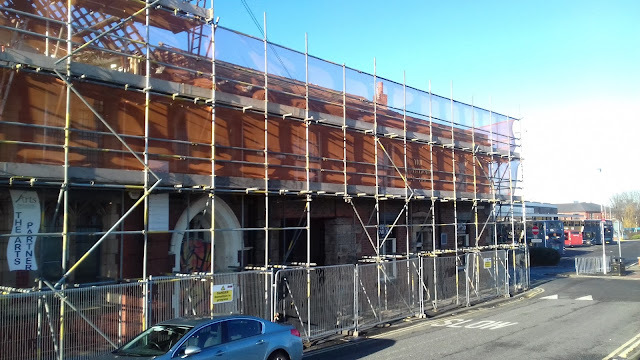 A new Chorley Youth Zone is to be built on Railway Street on the site of the Leigh Arms and neighbouring Methodist Chapel. 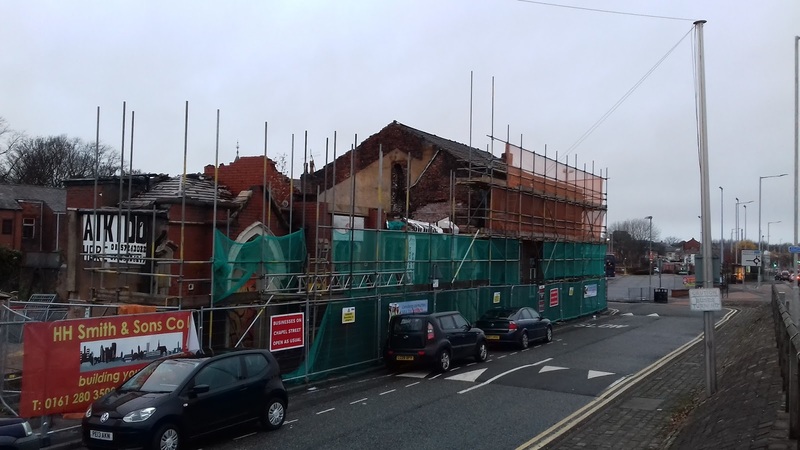 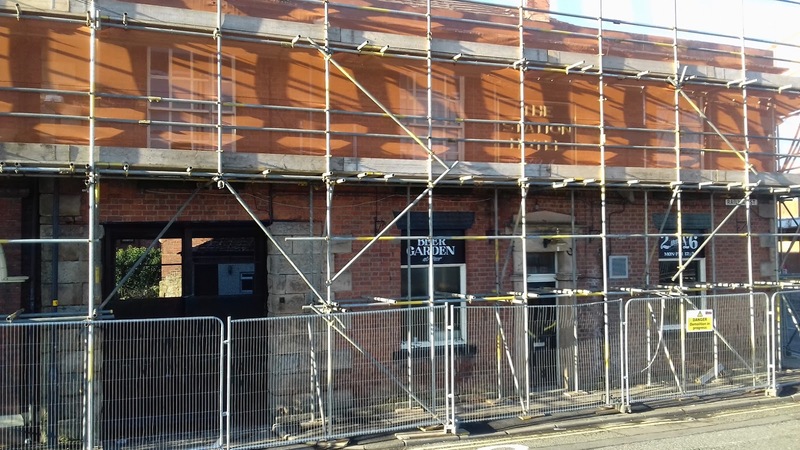 Pictures below were taken in November 2016 as work started to demolish both buildings.